Air conditioners can only be tested if the outside temperature is above 60° F. The size and age of the air conditioner is determined (if possible). I will operate the system if the temperature is warm enough, and inspect the outside compressor unit to see if it is clean and level. 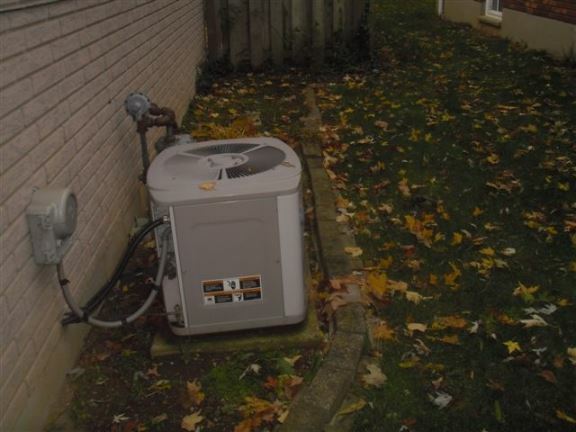 I will make sure the proper drains are in place and refrigeration lines are properly insulated. 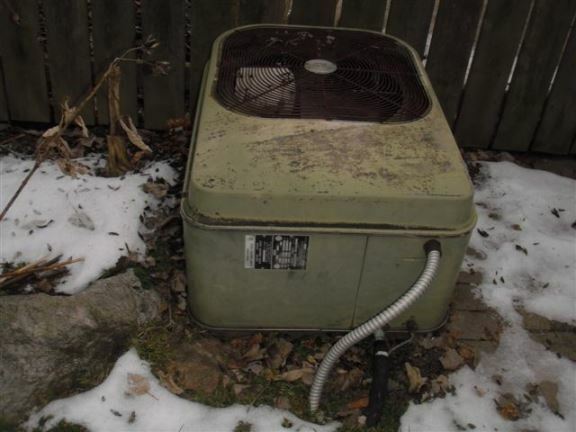 This AC unit is very old and will soon need to be replaced. Air Conditioners should be level to function properly. 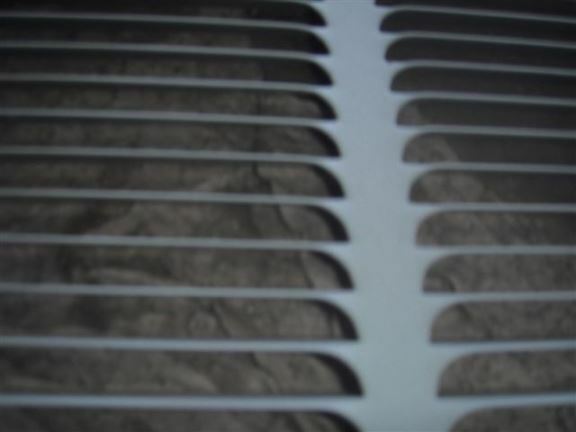 The debris inside this air conditioner will cause overheating and poor efficiency. 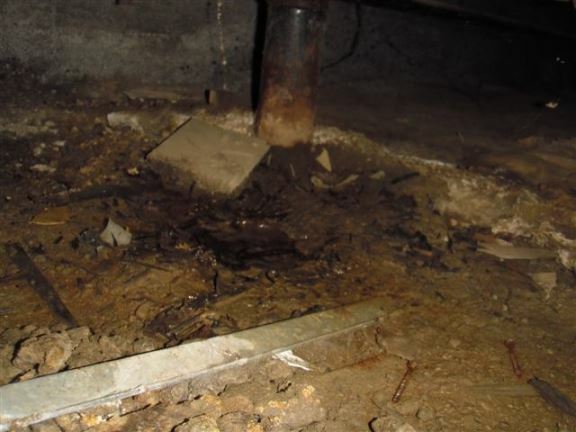 The drain tube from an air conditioner drains onto a crawl space floor. 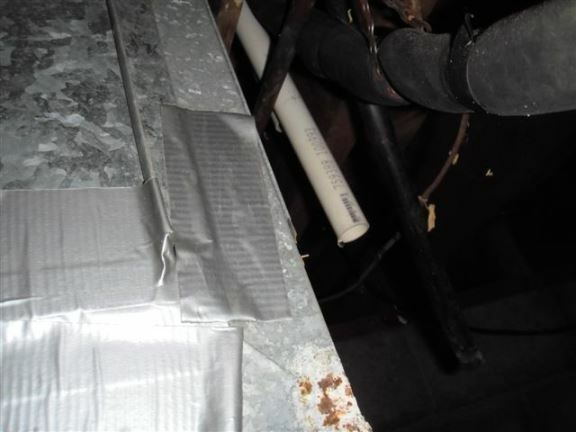 This shows water in a crawl space from an improper air conditioner drain.